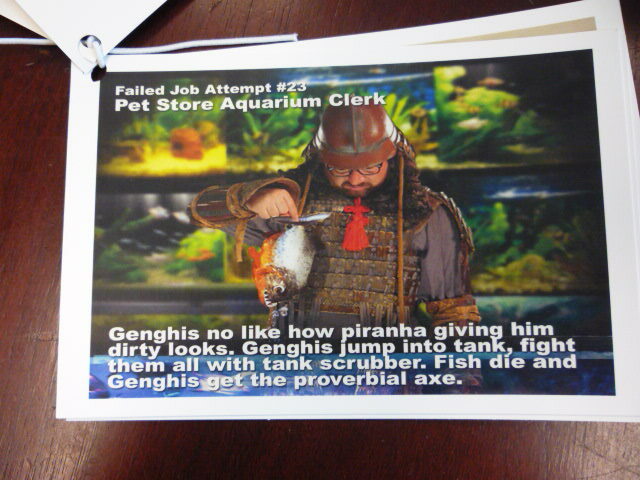 Genghis Khan would like me to know two things: He is hungry, and he enjoys videogames. 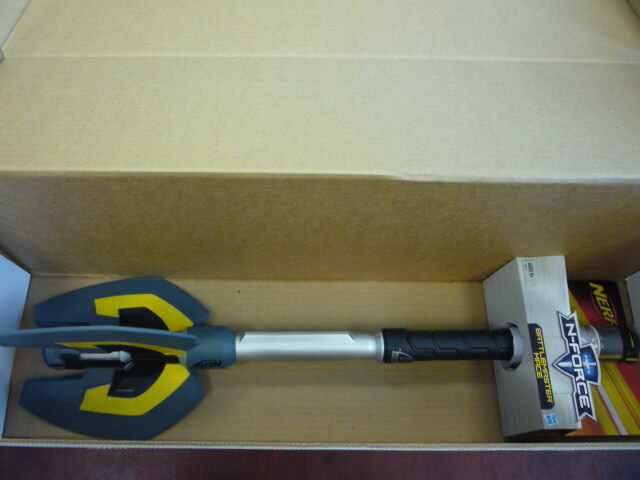 It's not unusual for me to receive odd packages here at work. 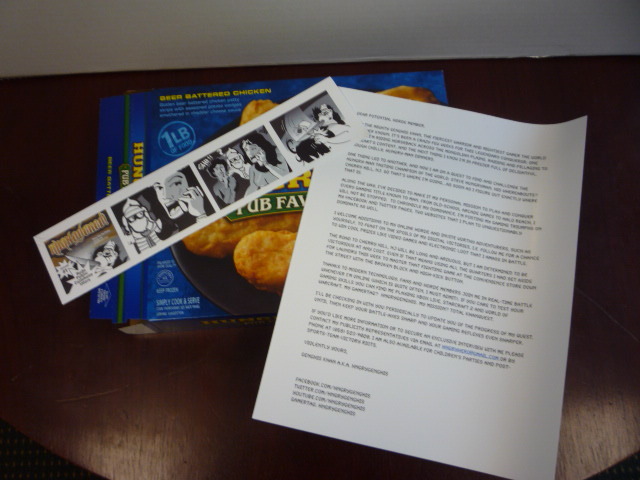 They usually come filled with some sort of promotional material or other, everything from soap (Red Dead Redemption) to aprons (Diner Dash) to meat snacks (honestly, your guess is as good as mine). 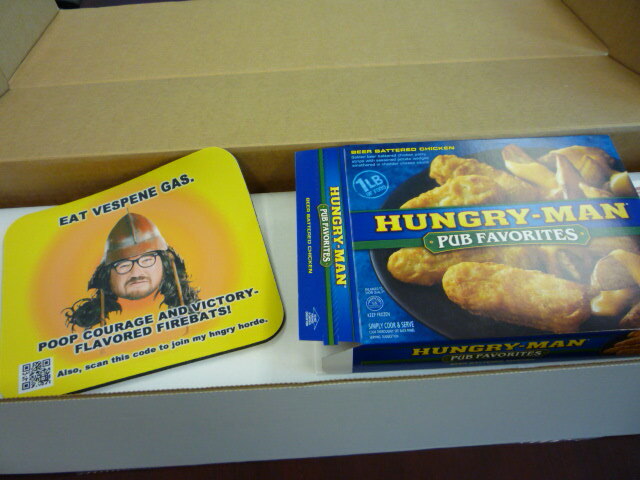 But the package I got yesterday from one "Genghis Khan" definitely ranks pretty high up the eyebrow-lifting charts. 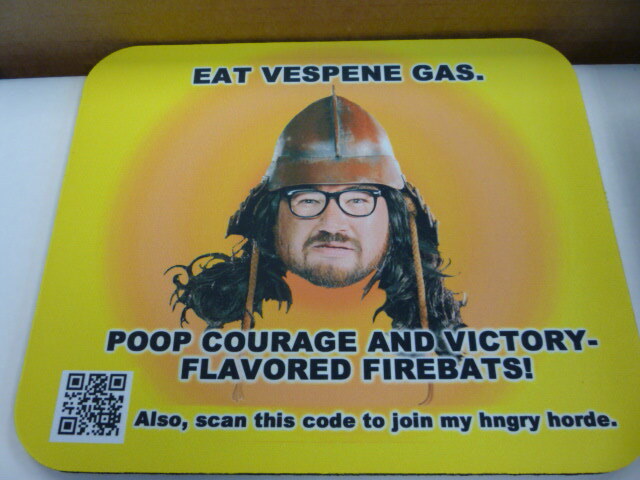 The package, which contained, among other things, a mousepad festooned with the phrase "Poop courage and victory-flavored firebats! 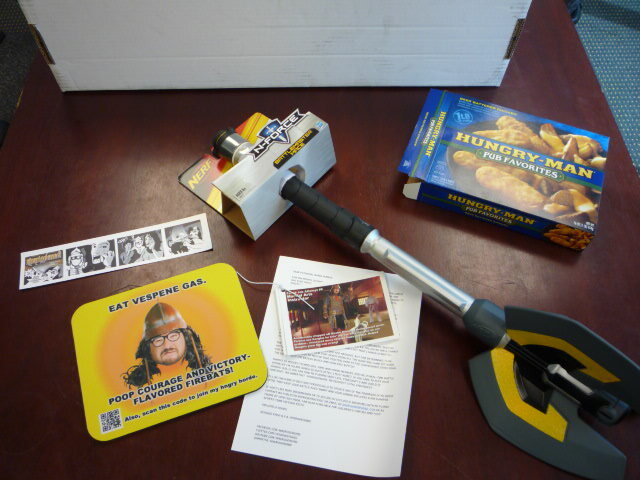 ", the box for a Hungry Man frozen dinner, a series of pictures describing jobs at which the Mongol had failed, and a Nerf mace, was apparently promoting a video series about Genghis Khan traveling through time to become a videogame champion. Am I playing into Mr. Khan's scheme by giving him some free advertising in exchange for a box of oddness? Well, sure, but I'm ok with that. The video is actually pretty funny, and besides, I'm now armed with some pretty sweet Nerf weaponry. Seems like a fair trade to me.